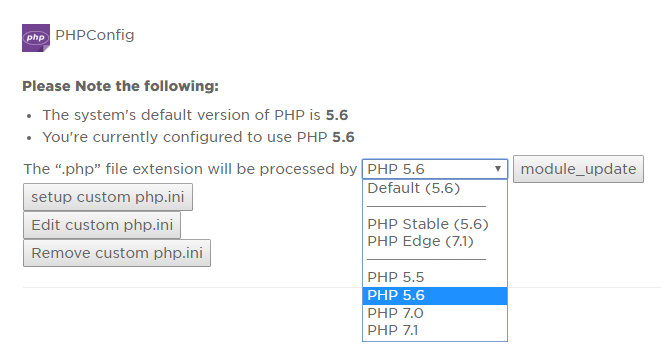 From this tutorial, you’ll learn how to change PHP version in order to switch it to newer or older one. It is strongly recommended to contact your hosting provider first to ask him if he can assist you in changing PHP version. In some cases, the hosting servers provide the standard tool allowing clients to change PHP version. 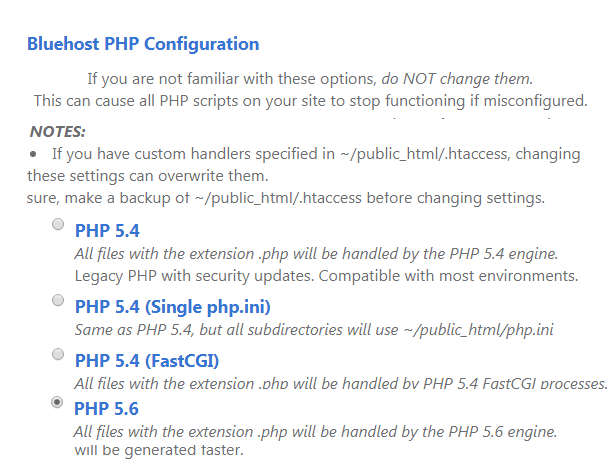 Let’s see how to change the PHP version using GoDaddy, HostGator or BlueHost cPanel. Log in to your hosting server cPanel and locate Software block. Here open Select PHP Version tool. Select the necessary version from the dropdown menu and click on Save button to apply the changes. If something went wrong, you can always return to this page and change the version to the default one. Log in to your hosting server cPanel and scroll the page down to locate Programming block. Here click on PHPConfig shortcut to open the BlueHost PHP Configuration page. 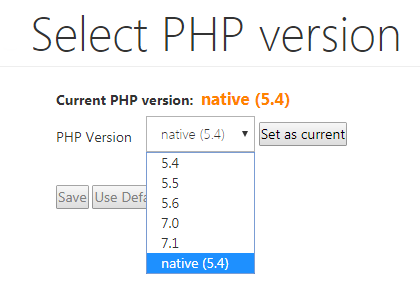 Select the preferable PHP version. Navigate to HostGator cPanel and open PHP Selector tool. Choose the needed PHP version from the dropdown menu.